Celebrate the special journeys we venture on through life with this stunning tree of life design pendant. Crafted from sleek sterling silver, this pendant features a beautiful tree design complete with elegant swirl style detailing as a symbol of the bonds and experiences we have throughout our lives. Sterling Silver Tree Of Life Design Pendant is rated 4.5 out of 5 by 6. 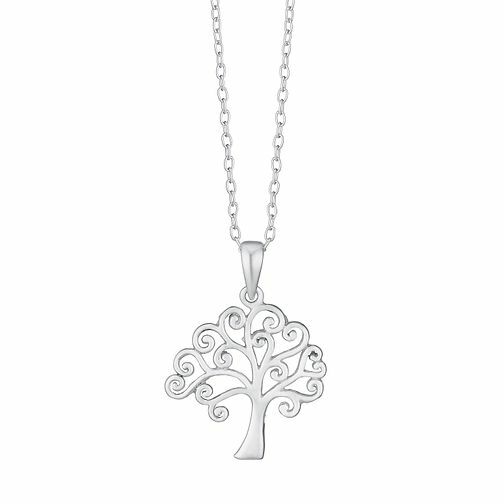 Rated 4 out of 5 by Anonymous from Birthday present for Niece I bought the Silver Tree necklace for my 17 yr old niece. Her opinion is that it was really pretty and well made. The delivery service was efficient and arrived in good time.